EverSound proudly presents the debut album of Chris Mac Vittie & Daya Rawat, a collaborative musical journey with a message of peace, love, and expression. 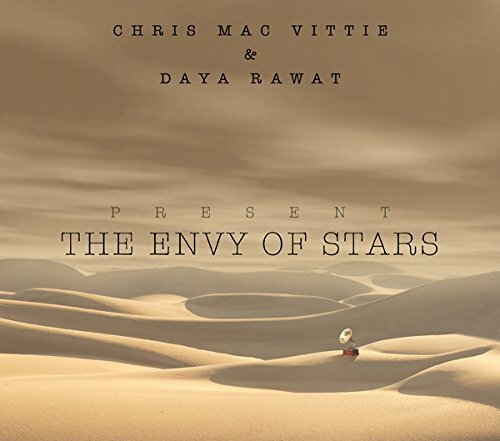 The Envy of Stars combines the beautiful and recognizable vocals of Daya Rawat with the powerful voice and original compositions of singer/songwriter Chris Mac Vittie. The album was mixed and engineered by the Grammy Nominated producer Mark Needham (The Killers, Pink, Shakira, Chris Isaak, and Fleetwood Mac). TPRF President Daya Rawat was recently interviewed on a television show in Vancouver, Canada called “The Immigrant’s Magazine,” intended to educate, inform, orientate and entertain the immigrant community to North America. It is estimated that the broadcast was seen by more than 170,000 people.